You are here: Home / Uncategorized / Piggy’s and Petals: Pettiskirt! 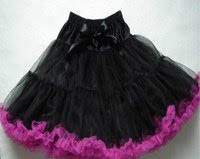 This giveaway is for a pettiskirt in your choice of size (0-12) and color. Click here to check out the options Piggy’s and Petals offers and then come back and leave a comment saying what you’d choose when (gotta think positive) you win! Don’t forget to enter the other 2 giveaways! Pink and white for sure!! ooooooh the chocolate and pink. My youngest is ALL about the pink. Chocolate and pink are adorable! Pink and white!! Pink and white!! When I win, I'd like the pink and white please! I think I can. I think I can. I would LOVE the pink and chocolate. So cute on my little girl! Chocolate and pink for sure cant go wrong with that! The pink and white one for sure. It would be precious on my 10 month old granddaughter! as unoriginal as it is, I'm a total sucker for chocolate and pink. Pink and White! So cute!!! Oh I would love the pink and white! Chocolate and pink of course! Way cute!! The chocolate and pink, too stinkin' cute. pink and white! what a dream for a photo shoot. I dont know what color i would get but would know i would have to buy one as well for my other daughter, and for a friend. So cute my daughter would love one. Yep, chocolate and pink! These are SO pretty! Wow, I would love the black and white, but I know my daughter would love the pink and white more! Guess I'll have to go with what she wants, huh? Oh My Gosh! I've been looking for a cute/cheap pettiskirt for awhile. I would want the black/turquoise. i would love the purple and lavender. 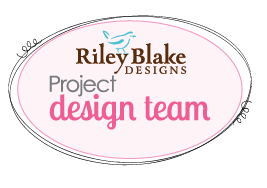 The chocolate and pink is soo cute… Great website and items for sale! I don't know if I can just pick one! I love all those colors. Probably either the Chocolate and pink or the black and turquoise. Love those color combos! I want to red and white! I think it would make for perfect newborn pictures!!! Pink and White for me! Red and white – I can see the Christmas photos now! ohh the chocolate and pink is waaayyy tooo cute! That's too hard! I love the turqoise and black, though!! I think the red & white… though they are all beautiful! The chocolate and pink!!!! Love it! Oh, I NEED the chocolate and pink! NEED!!! chocolate and pink sounds nice! ooolala! Black & Turquose for me! Love them–and I'd need TWO more of the same color, different sizes if you pick me! Fun! My little princess would LOVE that! I think she'd like the purple and lavender the best. I love chocolate and pink, but again, my daughter would only wear all pink, so maybe pink and white. LOVE THESE! Black and turquoise please. Oh I hope I win, I hope I win. Hmm. I might need two – chocolate and pink, and pink and white. Sooo cute! Chocolate and pink. So cute!!! Black & Turquoise… love that color combo!! Black & Turquoise with the turquoise beanie to match! Pink and white would make my daughter happy to no end. My little one would LOVE this for her 4th birthday next week! I'd pick the chocolate and pink! Pink and white, or brown and pink! I like the black! Or maybe red for Christmas and Valentine's!! Thanks for the giveaway, and I love that these go up to "big girl" sizes for my 7 year old! Love the Pink and White. Oooo, chocolate and pink… me thinks. gosh how do you choose?! probably chocolate & pink!! PINK AND WHITE ALL THE WAY! It's so cute, and would be adorable for pictures! When I win, I'd like the red and white Size 2. Red is sassy! Thanks for hosting this giveaway. Chocolate and pink or maybe pink and white. I just want to win! chocolate and pink please!!! Love it, so cute! Ooh, chocolate and pink for sure! SO, so cute! Black and white FOR SURE!!! SO pretty! Chocolate and pink I think. chocolate and pink. Soooo CUte! I think I'll go with purple and lavender. The husband is complaining about the amount of pink in my daughter's closet. You can send me the pink and white! The pink and white is gorgeous! Chocolate and pink please, Ady would love it. I imagine she wouldn't ever let me take it off. I choose the chocolate and pink! Those are soo cute! Pink and white! I've only got one girl (plus 3 boys) so I have to go with pink and white! chocolate and pink! chocolate and pink!! Black & Turquoise is my favorite! Love love love the chocolate and pink…in size 5 please! I still can't make up my mind!! I think either chocolate and pink or white and pink! Sooo cute! Red and white! so fun! Purple and Lavendar… oh or should I make that Chocolate and Pink… gah.. it's too hard, they are so lush! Probably the purple and lavendar after that moment of indecision. I love the chocolate and pink in a size 7! How fun are they!?! Definitely chocolate and pink, how fun!! I would love the chocolate and pink! These are adorable! I think Lil would like the purple/lavender. I would like the pink and brown please! Loving the Chocolate & Pink!!!! Can't see the pics for some reason-but the black and turqoise sounds pretty! Those are lovely! I think I would choose black and white because we'd have more to wear with it! $20?!?!?! That is such an amazing price!. I would have to go with the black and white. I AM IN LOVE! You can never go wrong with chocolate, so I'd like the chocolate and pink one! I can't wait to see my little girl in the purple and lavender!!! There are an amazing amount of people out there who love chocolate…and so do I, but I think my four year old would go gaga over the Red and White! Purple and lavender, no question! My daughter is only a month old, but until she's old enough to wear the bigger one I pick out for her, I'll just look at it every day and wish I could wear it. Chocolate and pink! So cute! I would get the red and black and send it to my little niece. They are true blue Oklahoma fans! Chocolate and pink would be my first pick! Pink and White would be my first pick! Thanks for the giveaway! Brown and Pink…just the thing for grandmas little princess! Anything but white!!! So pretty! My daughter would be in heaven! We would ADORE pink and chocolate! love the chocolate and pink! Pink and chocolate!! I want to win. I would love this for my daughter! I definitely couldn't pick just ONE. Although chocolate and pink is really cute!! Chocolate and Pink, that is beautiful! I love the pink and white…so cute! Too cute. Can't pick! If I win – SURPRISE ME! SO cute! Brown and Pink sounds heavenly! msbluerasp at gmail dot com. black and torquoise. do I still win If I spell it wrong??? pink & white…and I know my 3 year old would live in it! I'll have a chocolate and pink one please. These are so adorable. My 5 year old would love one. Chocolate and Pink!! Sooo cute! Black and turquoise! Can't believe I didn't go for the Purple and Lavender since I always pick anything purple! chocolate and pink for my girls too!! i LOVE these. i don't think my girls would ever take them off. How freaking cute are these!! We'd get the choc/pink combo. Too cute!! pink and white all the way baby! so hard to choose! chocolate and pink to pick just one. Jenna would flip over the Lavender and Purple! Oh we would love one! Choc and pink would be first, but they are all sooo cute! black and pink. oh la la! i would have to say either chocolate and pink or black and turquoise. gotta love them! I would choose chocolate and pink! Those colors go so well together! My daughter would look gorgous in the red and white! ooooooh chocolate and pink for sure….or maybe the purple and lavender. I can't decide – pink and white or chocolate and pink. So cute!!!! Black and white is always a classic! Hard to choose one, bu I think I'd go for the chocolate and pink. CUE!! Chocolate and pink, oh pretty, pretty please! Just about anything with black would do for my niece. She takes after her mother and EVERYTHING looks better with black in their minds. Any and all but turquoise and black first!! Oh, it would have to be the chocolate and pink. I just love that combination. Hmm! With 3 little girlies we love all the colors. But my mom vote is for pink or turquoise with chocolate. Beautiful! Size 8, 6 or 4! Wish me luck! the lavender and purple. My daughter loves purple! Chocolat and Pink in a 3T/4T ish size. Thanks!! Crossing my fingers! I pick the chocolate and pink one. I love that color combination. Red and white for sure!! Love these! I can't pick between the black and turquoise or the chocolate and pink! Too cute!! Chocolate and pink or maybe black and turquoise. Both sound adorable! Oh oh pick me pick me!! Please! Chocolate and pink for when **thinking postitive here!!! ** I win! Thanks! I love the black and turquoise. These are so cute! Black and Turqouise all the way for the little girl we'll be adopting in the future. Always good to stow away stuff now right? Black and white all the way! My 8 year old is dying for a pettiskirt! I would pick the chocolate and pink!